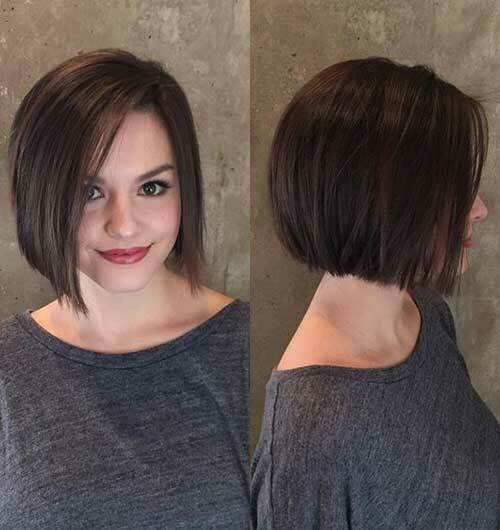 This year update your look and make a fresh start with a new, trendy short haircut! 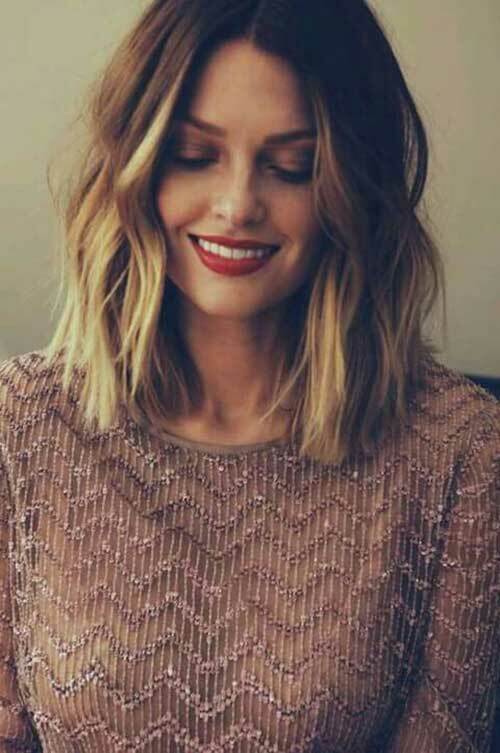 We have collected best short hairstyle ideas that will help you to achieve one of your new year resolution! 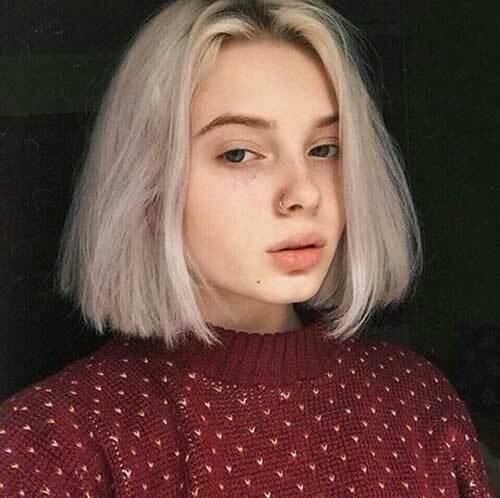 Blunt bob hairstyle is always a good idea for women with fine and straight hair, this way your hair would look much more fuller and voluminous. 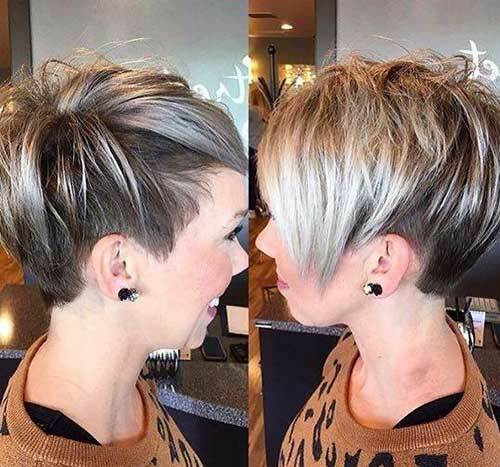 Layered hairstyles are perfect for ladies with thin hair, this is actually undercut style with asymmetrical pixie cut. 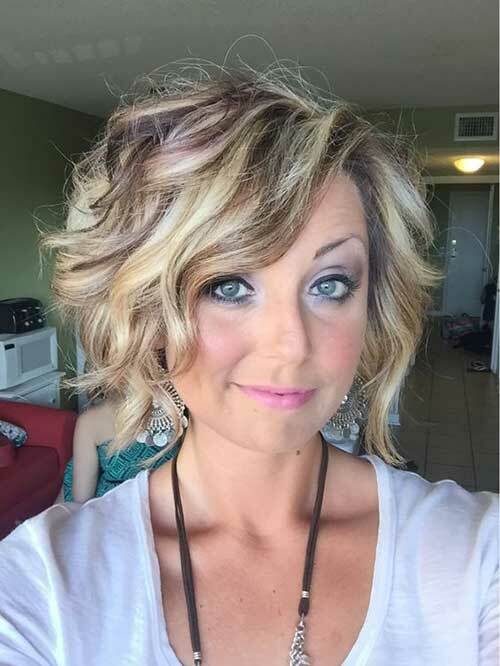 Blonde bob hairstyle with gorgeous messy style would be your next haircut for this year. 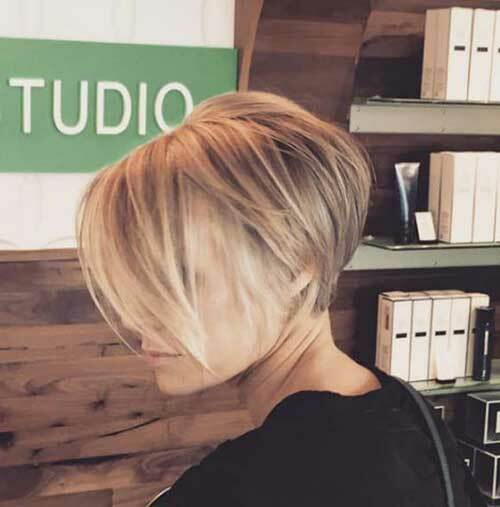 Pixie bob style is very popular among women around the world and it is a great haircut for a fresh start. 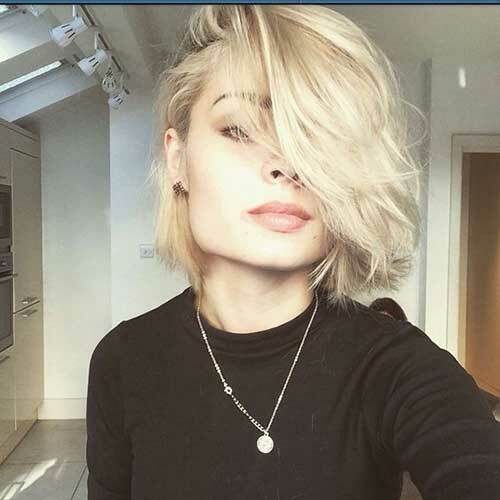 Look at this gorgeous short to medium haircut that flatter her gorgeous face, center parting and highlights creates a really nice style. 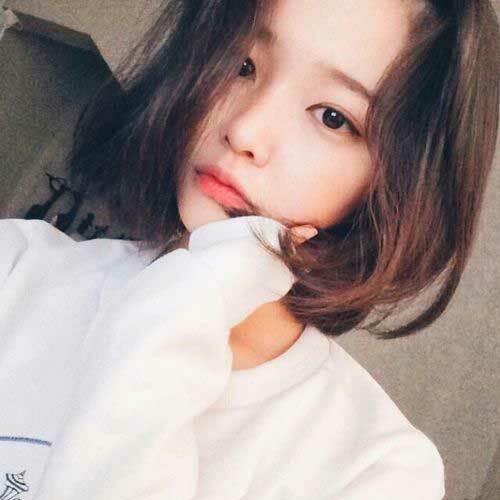 Here is a blunt bob hairstyle idea of Korean girl, this can be adopted by girls with thick hair texture and dark hair color. 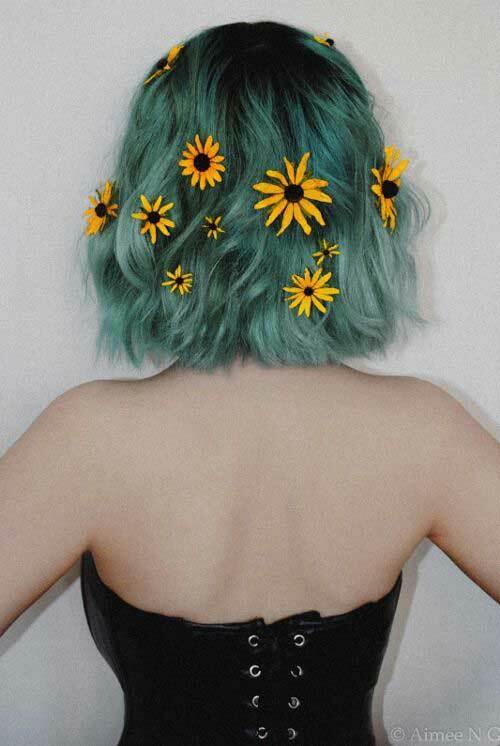 Pastel colored short hairstyles are very popular so here is pastel green colored wavy bob with flowers! 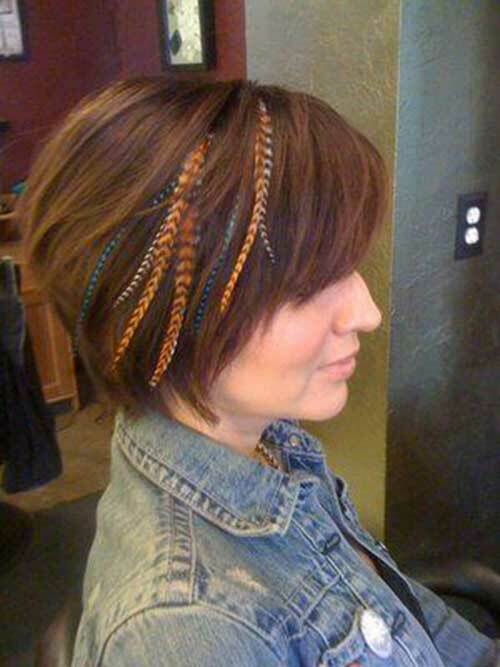 Feather extensions is the best accessory especially if you like bohemian or casual styles. Bob hairstyles with bangs are perfect for girls who like to emphasize their sophisticated styles and eye colors. 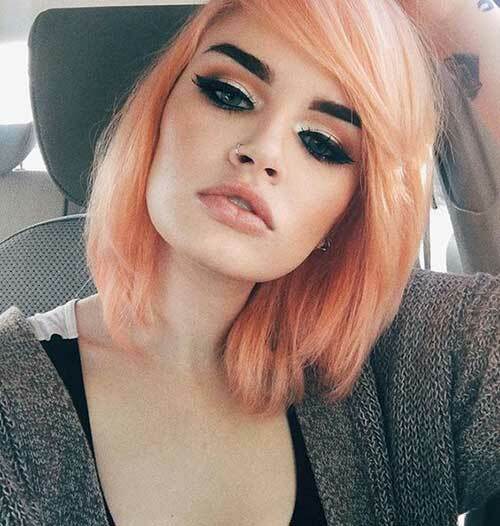 Pastel peach colored bob hairstyle of this ladiy looks definitely eye-catching and stylish. 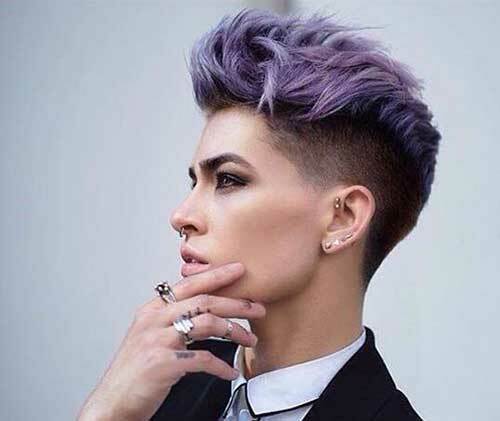 Look at this eye-catching purple colored undercut pixie! 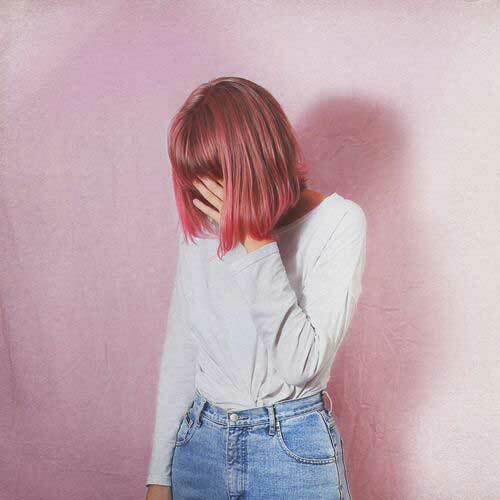 This is a great style for girls who want to stand out of the crowd. 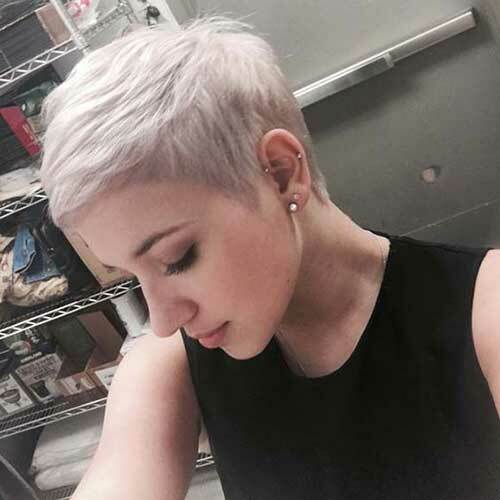 Blunt bob cut and pastel white hair color definitely gorgeous and chic and it looks great on this girl. 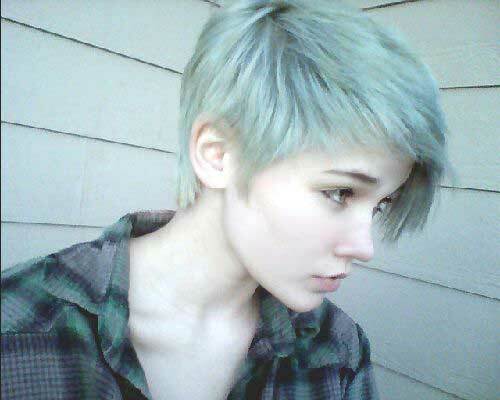 At the end of today’s post i want to show yo really simple and cute gray pixie style for a face-framing looks.